Senator Dino Melaye has denied he has joined the 2019 Presidential race. His posters have gone viral online suggesting the Kogi Senator has joined. The poster did not include logo of any political party. Meanwhile, the outspoken senator has taken to his twitter handle denying the posters. He said, "It is ridiculous that enemies have gone senile. 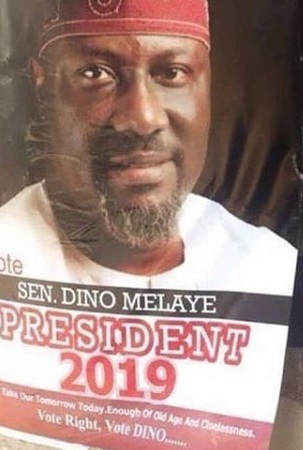 Printing Dino Melaye for President posters and pasting around to create disaffection from the presidency. Dino is not a coward. While I’m very qualified to run for the presidency of Nigeria, i’m not ready"
It is ridiculous that enemies have gone senile. 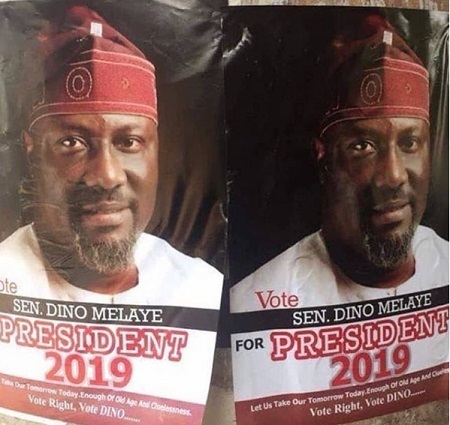 Printing Dino Melaye for President posters and pasting around to create disaffection from the presidency. Dino is not a coward. While I’m very qualified to run for the presidency of Nigeria, i’m not ready.